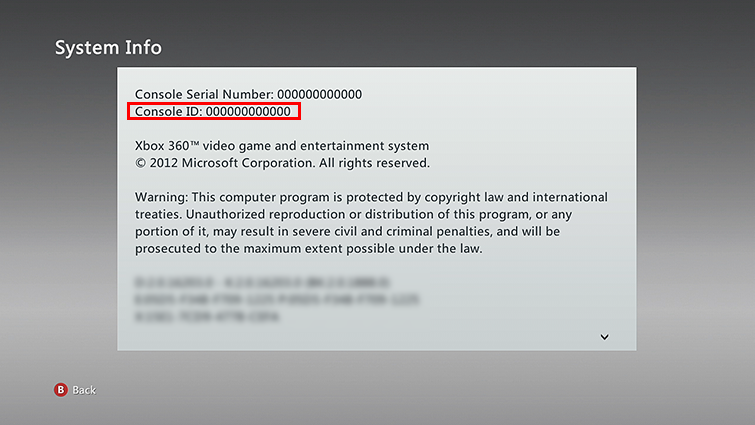 Before you can register your Xbox product or get it repaired, you need to know the product serial number. You may also need to know the console ID. Here’s how to find these numbers. On the front of the console, behind the oval USB door. On the back of the console, above the A/V port. On the System Info screen in the Xbox Dashboard. The Kinect sensor serial number is located on the bottom of the sensor. The serial number is a 12-digit number printed under the barcode. Note The Xbox 360 console ID can only be found in the Xbox Dashboard. The console ID is different from the console serial number. Select System Info. 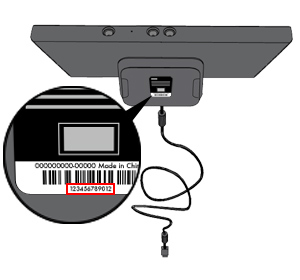 The console ID is displayed on the screen, below the console serial number (which is also displayed on the screen). 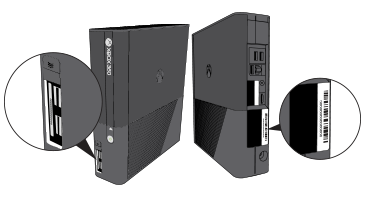 Would you like to contact Support regarding the "Find the Xbox 360 serial number, Kinect sensor serial number, and Xbox 360 console ID" issue you were reading about or a different issue?